The LUV Butterfly Tool Kit is available for purchase at a suggested donation price. Items in the kit are sold separately and include a Butterfly Puppet, a copy of “Magdalena: Through Her Eyes” a copy of the daily devotional “Jesus Calling” by Sarah Young, and The Story of Transformation flash card/flip book set. 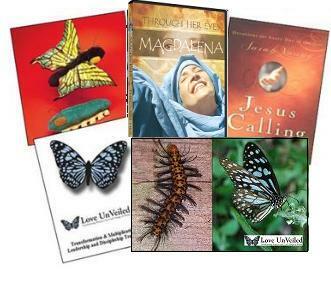 Product details are available at our LUV Butterfly Resource Store.